We had the "full meal deal" yesterday. Our house sparkles! The moss was removed from the roof and roof treated, gutters cleaned, house washed along with our windows and sky lights. Excellent job and all done in less than 4 hours. Guys are always polite, respectful of our property and pleasant to have around. Had our gutters and roof done, great service, great clean up, prompt quote when asked, highly recommend. Thanks for a job done well. The best! On time and our windows have not been this clean in 25 years- And he supports our salmon derby. You will be very happy. Great job, easy to work with, A++ job! Recommended to others many times who have thanked me and had the same experience. Our guy who deals with the Maple Bay area in Duncan rocks! Definitely a returning client here! 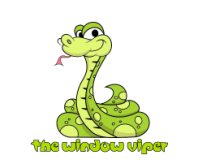 "The Window Viper is by far the best company I could recommend! They are extremely professional and their customer service is exceptional. I have no problems telling friends and family to use them and have never been disappointed with their service. We are happy repeat customers! " "I was visiting my mother and couldn't believe my eyes at how the windows in her home sparkled. I don't think I have ever seen windows that made everything in view so completely clear. Now that I have seen the work, I can definitely recommend this company. " "Thanks for no surprises on the bill. I was impressed with your service and enjoyed chatting to both you and Conor. You appear to be a guy who has lots of drive and isn't afraid of hard work. I like to support someone like that. I have already mentioned the good job you did to a couple of the neighbours. Don't hesitate to use me as a reference." "I'm a repeat customer several times a year. I am so happy to be able to call Chris and I know that I will have wonderfully clean and sparkling windows and screens and he is always polite, quick, and well priced. It is a pleasure doing business with Chris and his Window Viper team. Looking forward to my next clean!" "Professional. Polite. Cost effective. Job was done on schedule, on time, on quote. And he and Dennis exceeded my expectations." "We were Chris's first customers. He was great then and is awsome now. He works like lightening and does an A-1 job." "Wow. Chris did an amazing job with our windows and gutters. He supersedes any of our previous agents. I would recommend him in a flash." "We found Chris polite, hard working, punctual and very thorough. Our neighbour recommended him and Chris also did an excellent job for us. Our house has many large windows and, as we live on a steep hillside, some of them are challenging to clean! Chris was undaunted and took no short cuts. Our windows have never been cleaner. We immediately booked Chris for our next window cleaning and recommend him highly." "We were very pleased with Chris's services. He was prompt and on time, our windows are sparkling and our plants and areas beneath the windows were left in pristine condition. We highly recommend Chris and his Window Viper company for your window and/or gutter cleaning."